How Much Does a Garage Conversion in Dundee and the surrounding area cost & will it Require Planning Permission? A garage can provide valuable space that you desperately need at a low cost & depending on where you are in the country can add value to your property too. Another big bonus is that the living space increases without the hassle of moving to a new house. It’s really up to you what you want to use it for. However, you should know though that not all garages are suitable for conversion, for instance, the garage may be constructed of prefabricated reinforced concrete panels with an asbestos roof, in this situation the best thing to do would be to demolish it and start new! 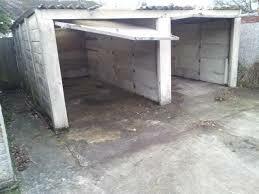 Whilst the image below is a little exaggerated this type of garage is definitely not suitable for conversion. Below are some points we will cover in this article. 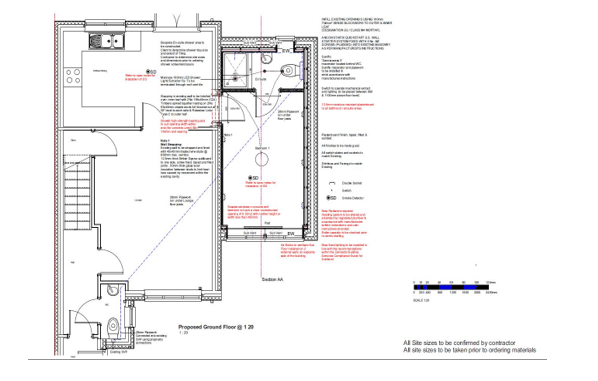 Do you need Planning Permission for a Garage Conversion in Dundee? If you are not sure what Planning Permission covers or even what it really is, then this is a good article that gives you what you need to know. The Garage is detached from the house. If you live in a Conservation area. Does a Garage Conversion in Dundee need a Building Warrant? Yes, yes, yes is the short answer, as it is treated as a conversion from a garage to form a habitable space. A garage conversion will be treated in the same way by Building standards as say building an extension or a loft conversion would, it will need to comply with building standards Scotland. Below is a list of some of the main Building standards concerning Garage Conversions. Walls, floors, and roofs need to meet minimum u values (insulation values) set out in current building standards. U-values, measure how effective a material is an insulator. The lower the number the better the insulator. Below is a table that sets out the current U Value requirement by the Scottish Government. You will notice there are 2 sets of U values, one is for houses built before 1983 and the other is for houses built after 1983. This is because a house built after 1983 are generally thought to have superior insulation levels. This is not really something for you to lose any sleep over as your architect or architectural technologist can (and should) produce U value calculations for you. The walls need to comply with building regulations, there are many options available to you to achieve this, this will be the designers job to include this in the building warrant drawings. Both insulation (U values) and condensation risk are assessed. Damp Proof Course (DPC) & Damp Proof Membrane (DPM) arrangements also need to be confirmed on the drawings. You may wish to consider putting in more insulation than the minimum standards demand, this makes sense over the piece as it will help dramatically reduce heating costs, especially if the garage is detached from the house. Foundations may require to be upgraded where doors have been, this will depend on what foundations are already in place. As an alternative French door can be added where the garage door has been removed. The inclusion of insulation to the converted garage floor needs careful consideration. 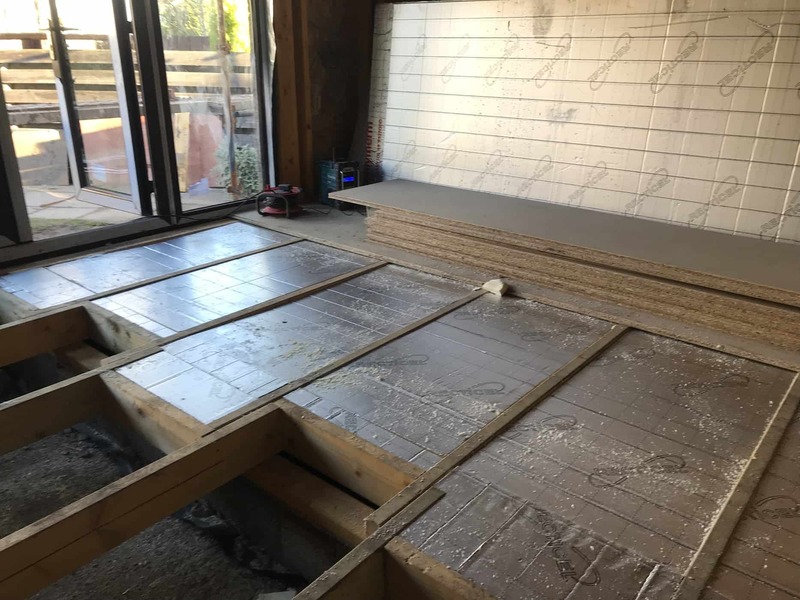 The chances of an existing concrete garage floor having insulation are practically nil, given that the existing garage floor will normally be lower than the house floor a joisted floor could be installed with insulation between the joists. 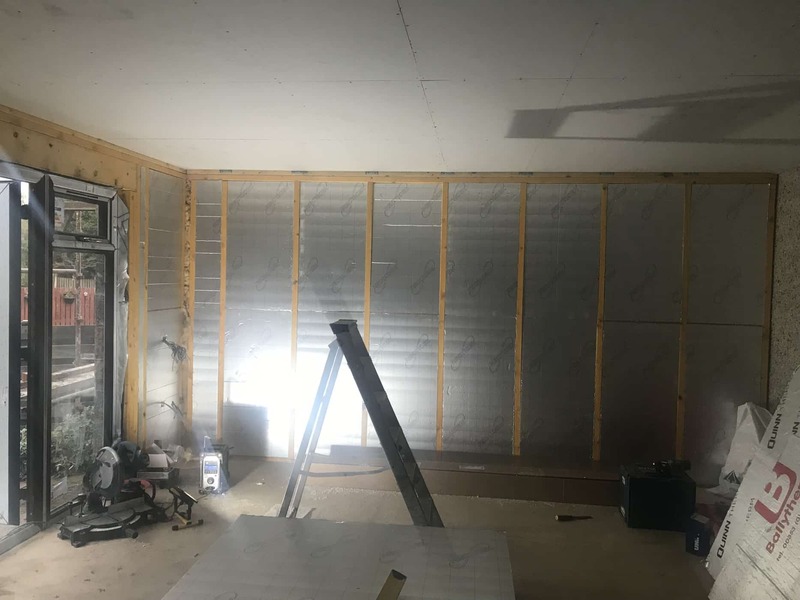 Alternatively, insulation and DPM may be laid on the existing floor and chipboard over the top, of course, each project will require a solution tailored to the individual project and more importantly tailored to you, the client! Roof insulation is normally straightforward, if the garage has a trussed roof then glass wool insulation can be installed at ceiling level. A flat roof usually can have insulation in-between and above the joists. If there is a room above you won’t need to worry about this. Depending on the design of your garage conversion you may not require any plumbing works, however, care needs to be taken when creating door or window openings as existing pipework or electrics may be lurking behind the plasterboard, an experienced contractor will know this and will investigate before getting the sledgehammer out! A fire door may be required between the garage conversion and the house, if the garage is an inner room (no direct access to outside) then an escape route will be required for compliance with building regs. Windows that are compliant with building regs will have a clear unobstructed opening of 0.33m2 with neither height or width less than 450mm. Glazing to your garage conversion will need to have to an aggregate glazed area equal to 1\15th floor area and an opening area of at least 1\30th of floor area. Frequently the windows will be fitted with trickle vents to provided ventilation to the converted garage. Both doors and windows are required to meet minimum U values as outlined in the table above. Installation of doors and windows into the surrounding structure need to be in accordance with BS8213-4 2007. Adequate ventilation is required to protect the structure, if the floor is to be joisted then vent bricks are required to allow cross ventilation. 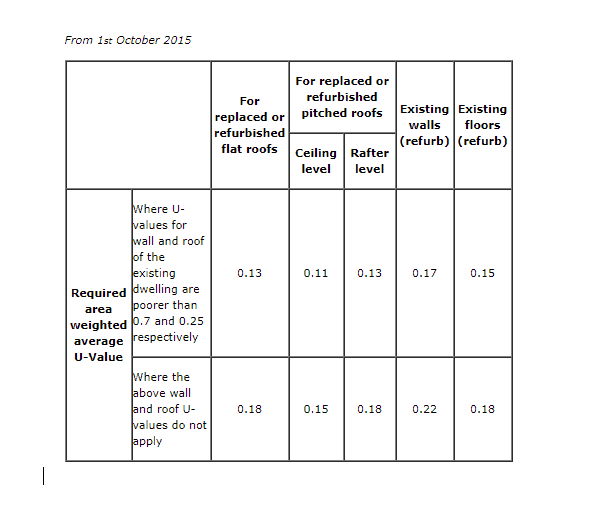 The roof space also requires minimum ventilation rates, your designer will be aware of these rates and include a note on your loft garage conversion building warrant drawings. The wall cavity will also require ventilation if the garage construction is to be timber frame internally. Again, this is something that your architect or designer will know and include in the garage conversion specification. 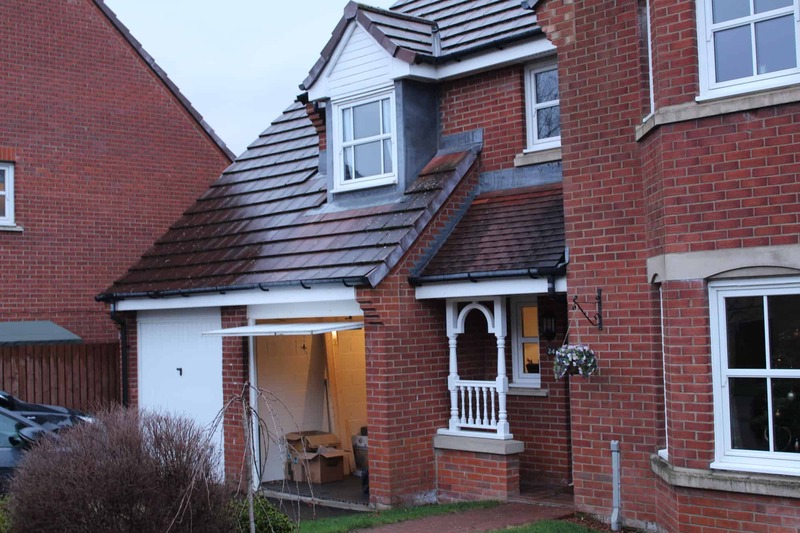 A Structural Engineer may be required, this will depend entirely on the extent of the structural alterations required for your garage conversion plans. For example, if you intend to create large openings in the existing walls or are knocking down load bearing walls then a structural engineer will be involved. If you are looking to have a basic garage conversion done, then there is generally no need for a structural engineer. Your architect or designer will still have to include details for how the floor joists will be fixed and any foundation alterations that need to be made to accommodate door infills. For example, if you have a double garage and would like to convert half of this space to a bedroom, then fire separation would be required between the remaining garage and the rest of the house. 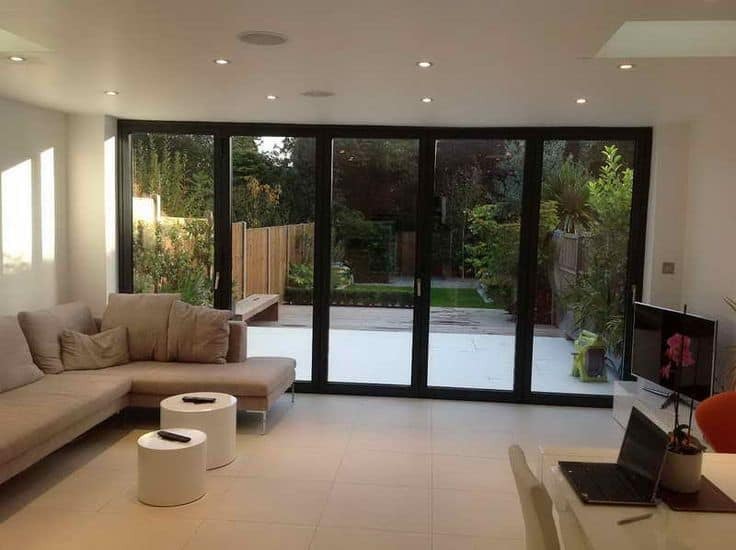 If you convert your single garage into a lounge with bi fold doors that give direct access to the garden, then no fire separation would normally be required. How Much does it Cost for a Garage Conversion in Dundee & the surrounding area? The cost very much will depend on the extent of your garage conversion project, for example if it’s a modern integrated single garage conversion into a bedroom then the cost will be less than a double garage conversion into a home cinema with all the whistles and bells. The cost will vary from area to area and the time it takes can vary from 1 week for a basic conversion to 4/6 months for a complex conversion. We have included a real-life example of an integrated garage conversion to a Betts house (built in 2000). The garage conversion added a master en-suite bedroom to a semi-detached 3-bedroom house. It works really well for the Family and that’s what it’s all about. Its created a private space for Mum and Dad, a lovely little retreat. So, you are now aware of the process of a typical garage conversion, we have explained to you that every garage conversion project can be very different in terms of cost and how long it can take to get the work done, they tend to offer you very good value for money for the floorspace that you get. However, you may need to think carefully about sacrificing your garage (where will you park the Porsche!). if you live in an area where parking is at a premium then you may want to consider alternatives that give you extra space, alternatively if you have plenty garden/ground then converting your garage and building a new garage or driveway could also be viable. 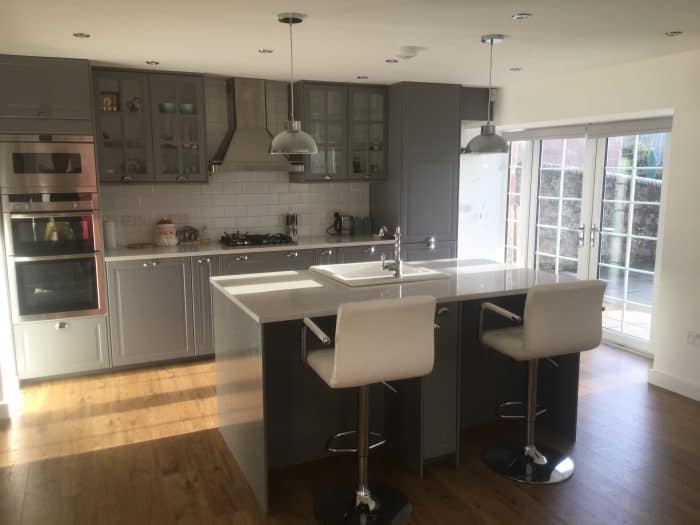 Former Double Garage converted into a stunning new family kitchen/dining area. If you want to find out how much your Garage Conversion will cost & you need an answer fast email me at john@jwarch.co.uk. Book your FREE 20 minute ‘Ask the Expert’ call, click here to book your call.